What are Profitable Ways to Increase Online Sales? If you have something to sell online or you do affiliate marketing where you sell product your own product or other people's product online then, you will getting the best idea as you read this post. 1. Best Payment Method: To increase online sales, you need to integrate or choose the best and affodable payment gateway for your online stuffs. PayPal is the most prefarable since its widely used and accepted all over the world. If customers can pay conveniently for your product, then they will recommend more customers for you which boost sales. 2. Sell Product with High Demand: Another profitable way to increase online sales is to display or sell what the people want and in high demand. 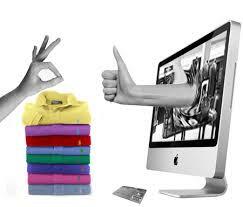 Digital product, cloths, food items, phones accessories, etc are stuffs in high demand. If you display high demanding product online, people will buy from you very fast. 3. Facebook ads: Facebook is the biggest social networks in the world with over 1Billion users. It means 50% of people in the world now uses Facebook but you can use Facebook as a source of traffic for your product through their advertising programs. Facebook adverts works and convert very well when it comes to online sales. 4. Sell Cheaply: The best strategy that works for any business to increase sales is to cheap cheap. People loves quality items that are very cheap, that is why people go for used items because they don't have money for new one. The best marketing strategy in any kind of business or what boost sales incredibly is to sell at cheap prize. You can buy in bulk and sell cheap which i believe its a good way to do business and increase sales of product/services online. The profitable ways to increase online sales as described above are very effective and that is what i use for all my product and people buy them. You can also use the same strategy to boost sales of your product. Thanks for reading.